The Hare & Hounds venue. 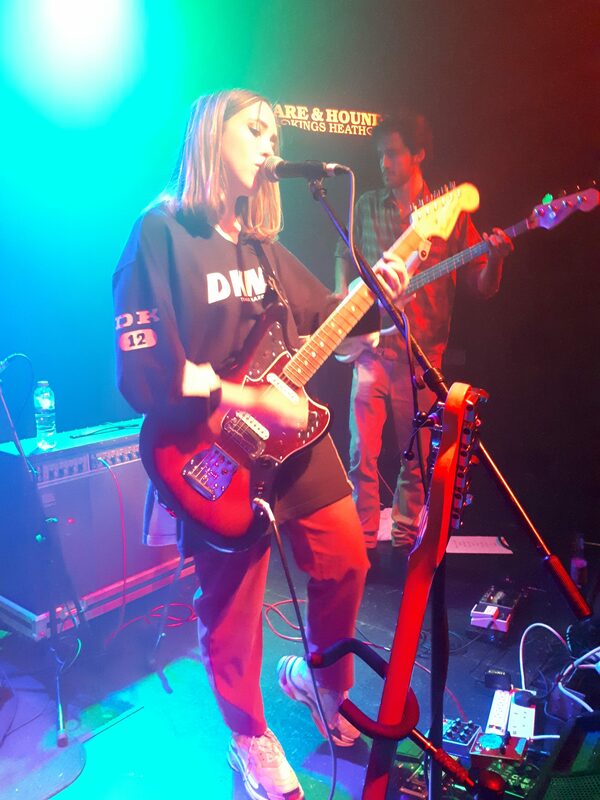 The Hare & Hounds in Birmingham was absolutely packed with people to see Soccer Mommy and hear Sophie’s music and lyrics to come to life. With the banter back and forth between the stage and audience, the crowd loved Soccer Mommy – despite the fact she had never heard of Birmingham before and the bands that came out of Birmingham such as Black Sabbath. And, it seemed, Soccer Mommy loved them back. Soccer Mommy played an intimate solo cover of Bruce Springsteen’s ‘I’m on Fire’. It was inconsistent with her band coming off and on between songs mainly due to the setlist not being thought out too well, but it didn’t distract anyone from Sophie’s and the bands excellent performance and personality. As a Nashville based singer-songwriter, Sophie has just finished a small North American tour with Paramore and Foster the People. The Hare & Hounds in the High Street was the first stop on a long European tour. Sophie Alison, better known as her alias Soccer Mommy. Soccer Mommy released her second full length LP ‘Clean’ back in March 2nd 2018. A personal, teen angst filled album that has the following themes of heartbreak, love, relationships, and jealousy in a pop rock, catchy, straight to the point manner. Clean is somewhat of a callback or a knodd to Avril Lavigne back in her prime, Lavigne’s work is a strong influence to Sophie’s music.